Should art tell us what to think? Alain de Botton argues that art should be less ambiguous. Is he right? 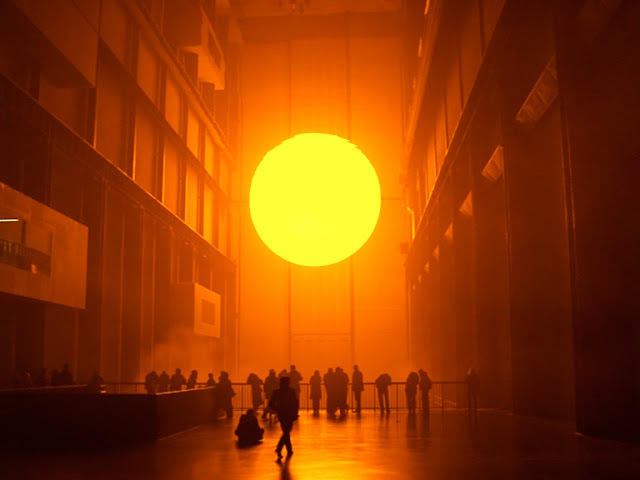 Olafur Eliasson's The Weather Project at London's Tate Modern. Source. Are art galleries the new churches? Alain de Botton seems to think so. In a recent online article for The Guardian, he implies that galleries have become a contemporary congregation point for atheists and agnostics. 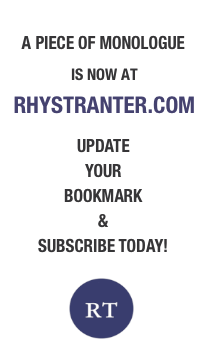 Is this really true? I'm not so sure. But de Botton is keen to stress the point, arguing that art museums as they currently stand are inadequate to their newly appointed role: 'The problem is that modern museums of art fail to tell people directly why art matters, because modernist aesthetics (in which curators are trained) is so deeply suspicious of any hint of an instrumental approach to culture.' This, we are told, is a bad thing: 'Christianity, by contrast, never leaves us in any doubt about what art is for: it is a medium to teach us how to live, what to love and what to be afraid of.' So what is he suggesting? First of all, is de Botton correct when he says that art galleries lack an instrumental approach? I would suggest the opposite. Galleries are under a great pressure to pull in visitors and generate revenue. A lot of thought and care goes into the venue, layout and presentation of exhibitions. Each gallery is designed with visitor pathways in mind: we wander through galleries in a suggestive state, and are gently persuaded to form judgements and opinions. Names we recognise are placed next to names we don't, to suggest connections, similarities, or even differences that we might not have thought about ourselves. To me, it seems clear that art galleries enact an instrumental approach to culture. From the labels that imply the value of a work with a caption, to the signs reading 'Modernism', 'Postmodernism' or 'Expressionism': all signs generate narratives that guide our understanding, and, perhaps more importantly, our opinion. Meanings are generated by these signs, by the position of the artworks, by the swell of crowds, and our attitudes are generated accordingly. Everything is by design. Even the classic debate about the value of modern art is, to some degree, a masterwork of the galleries themselves: artworks are acquired to generate discussion, even controversy, and are arranged to guide the spectator's thoughts and feelings. But de Botton might be right when he says that the art gallery privileges a certain kind of ambiguity. It resists telling us what art is for in the most direct terms. But isn't that what we like about art galleries? If we don't like what we see, isn't it more fun to be able to mock the exhibitions and feel entitled to our opinion? If we have a special connection with a work of art, is it not special because we feel we have found it for ourselves? To me, art is something that can be fun to talk about, but it's also something private, something I can connect with on a personal level. I find that being told what is important about an artwork is the same as being told what artworks to like, which ones we should value and which ones we should ignore. Why do I want to be told what to love, what to be afraid of? As de Botton raises the subject of religion, why don't we think about the word 'spiritual'? It is a word that defines the religious beliefs and inclinations of millions of people. It is something private and otherworldly, something rare and mystical, something ambiguous. Pre-packaged truths might be convenient for dinner parties or evening cocktails, a way to sound clever and sophisticated, but that does not make them instrumental to a happy life. Ambiguities allow us to think for ourselves, they allow us to daydream about the world without restrictions or external limits. Ambiguities can open up new possibilities, they can challenge politics, morality and public opinion. Ambiguities might be art's greatest gift.